Professional bridge player Milan Macura organized an Exclusive tournament you played from 21st to 25th January. Did you play it? You will find video with his comments about the bridge deals from this tournament later in this article. Milan Macura is a great bridge champion. Indeed, Milan became Junior World Champion in 2009. 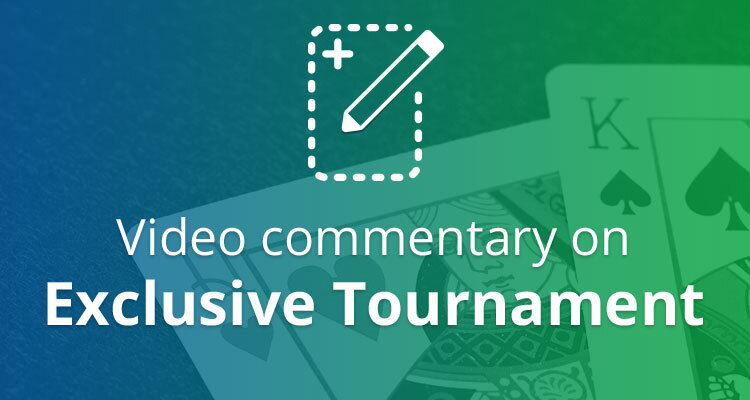 His latest commented bridge tournament on Funbridge is the January exclusive tournament held on 21st January. You also participated and you want to know how he played ? You want to see if you performed better than our champion ? Watch our video below to find out! He has been sharing his comments about bridge deals from Funbridge with you in videos for a few months now. We invite you to click here to find out more about Milan’s weekly challenges vs Funbridge AI “Argine”.